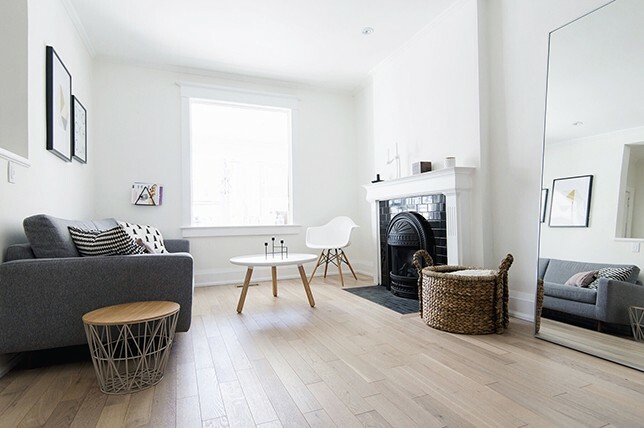 Because there’s something to be said about a well-judged, well-appointed, elevated living room or common room, we’re looking at easy to manage practices to boost one of the most often used rooms in your home. That said, luxurious living room interior design isn’t always about investing in the most expensive things. 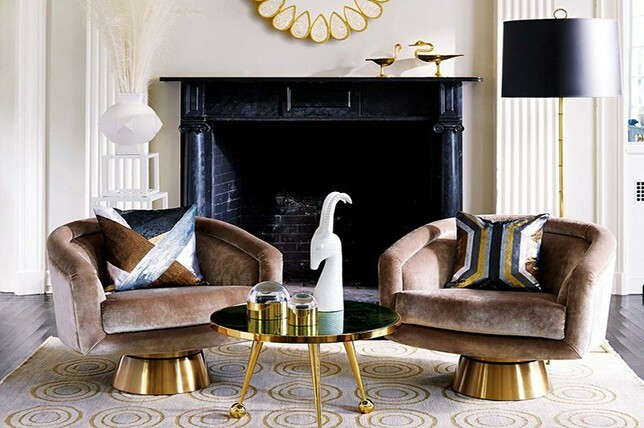 It’s definitely possible to make your living room look more luxurious without spending a fortune. As the central feature of your home and often the first thing that visiting guests see, your living room should reflect your own taste and personality. 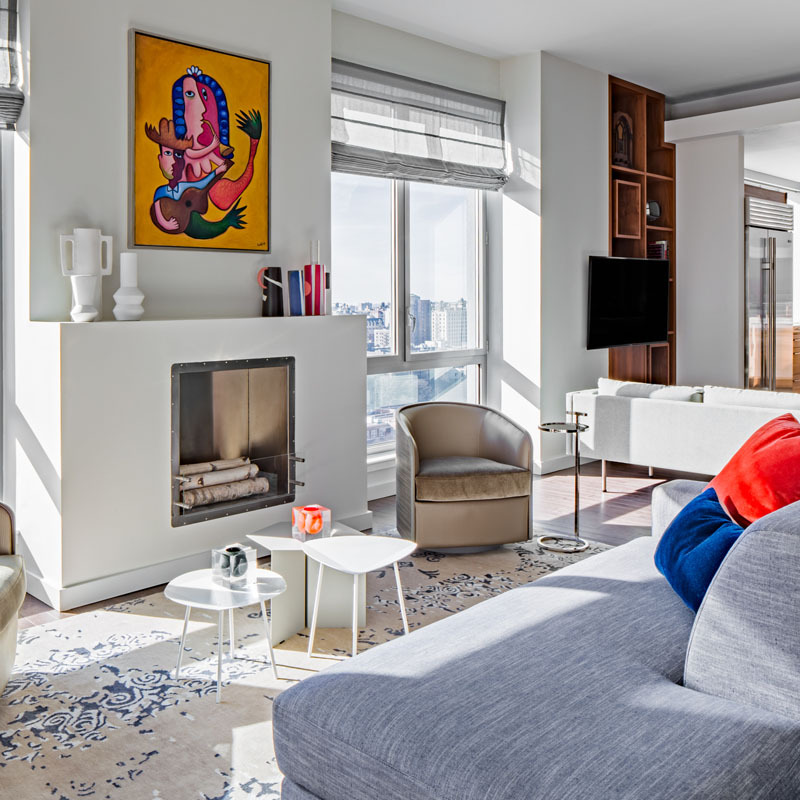 Our interior design experts at Décor Aid are here to dish living room design ideas that can help make your space look more luxurious even when your budget is limited – instantly. One easy way to transform the look of your living room is to go about decorating it with interesting textiles via colorful vintage carpets, area rugs, throw pillows, cushions, and more. And there’s no need to spend hundreds of dollars on nice-looking textiles. Scour flea markets and vintage stores and see if you can source an antique Turkish rug sold at a bargain or secondhand vintage carpets that are still in excellent condition. 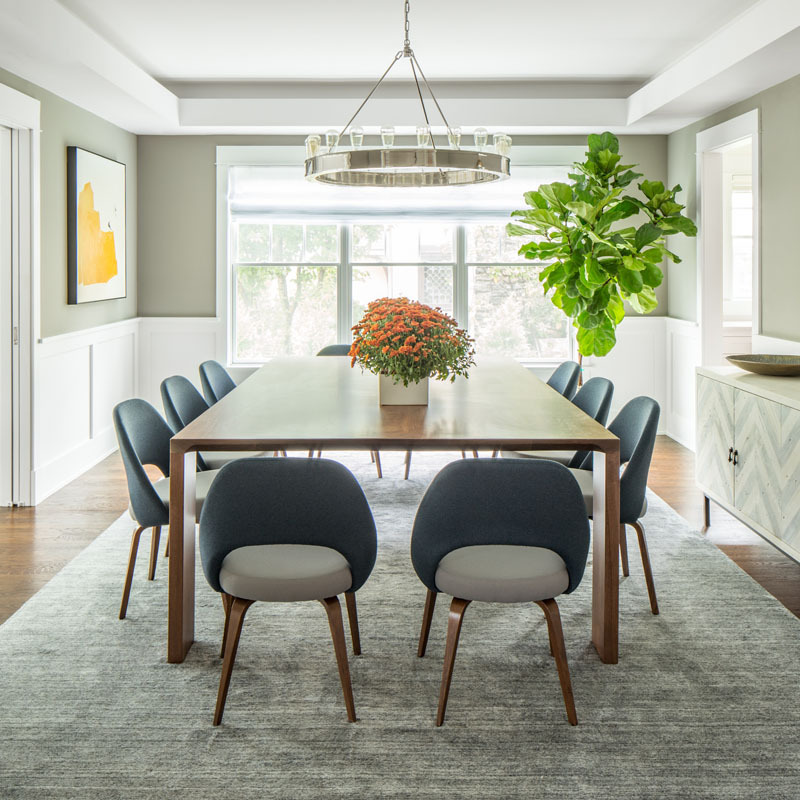 Make sure that when you select a major textile like a statement-making rug, that it strikes a chord with the overall look and color scheme of your interior design. Do opt for pieces that boast an unusual and interesting print. This way the textiles unusual design will inject a unique element in your room and will make it appear more personalized and luxurious. You can also enhance the coziness of your living room by placing a vibrant textured throw over a sofa or chair. 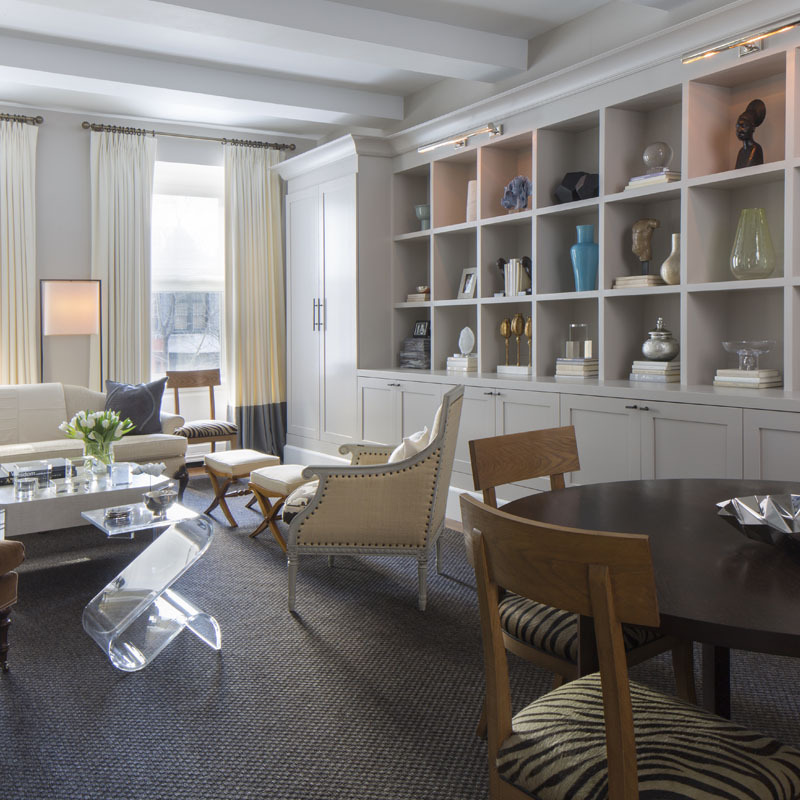 To make your room look more luxurious, consider adding structural elements to your living room interior design. 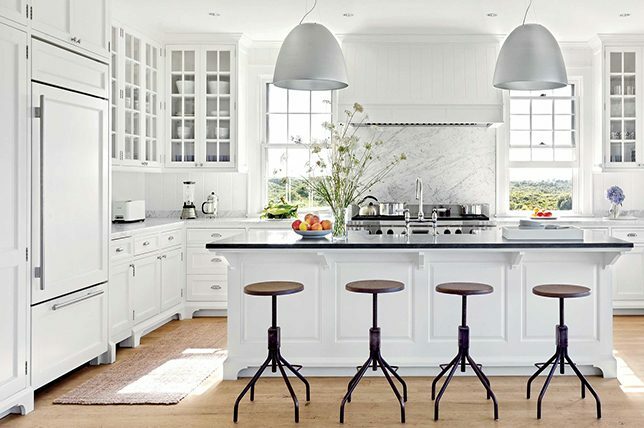 Instead of the usual circular forms or straight lines, look for furnishings that boast an unexpected silhouette or pieces that have an interesting shape or design qualities. 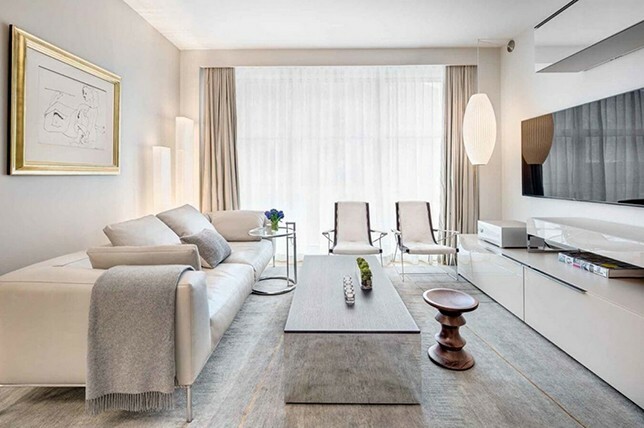 Consider the shape a key element in luxury living room interior design as it can possess a deep effect on the subconscious mind so do incorporate interesting sculptural items throughout your living room, even in small doses. 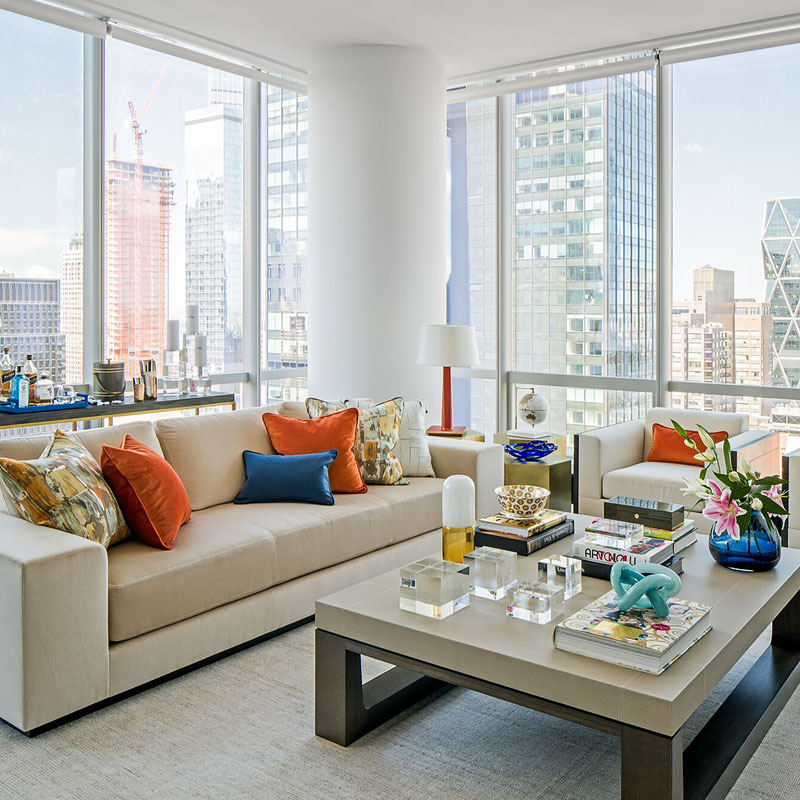 Décor Aid interior designers suggest surveying your living room and if you only notice straight lines and square edges right away, then consider incorporating more rounded, and organic sculptural items in your living room. 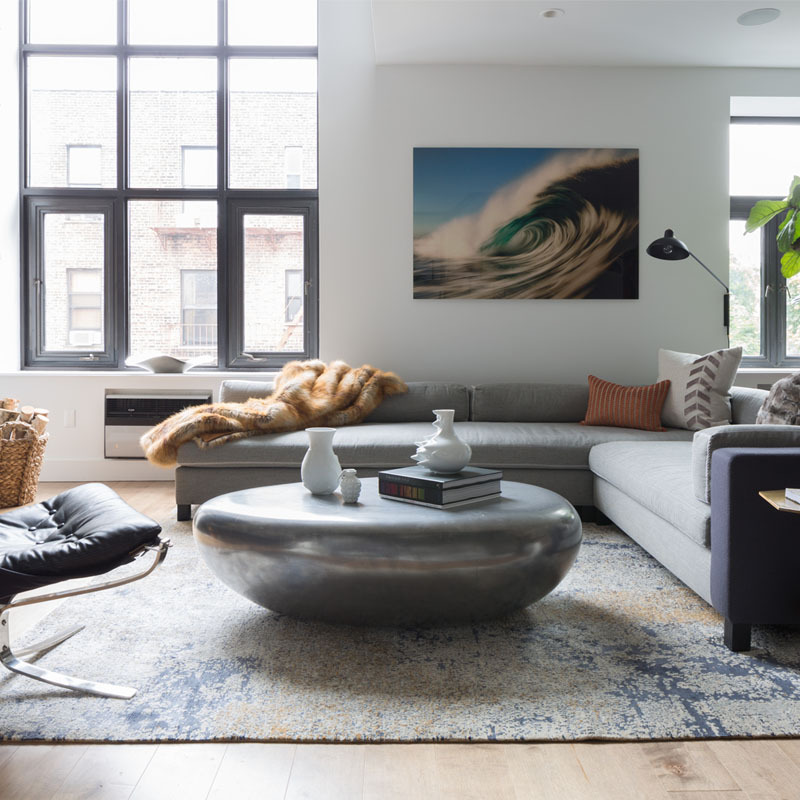 They also recommend avoiding a cautious approach to experimentation in general with interesting shapes as they also give the eye visual interest to focus on for any luxury living rooms idea. 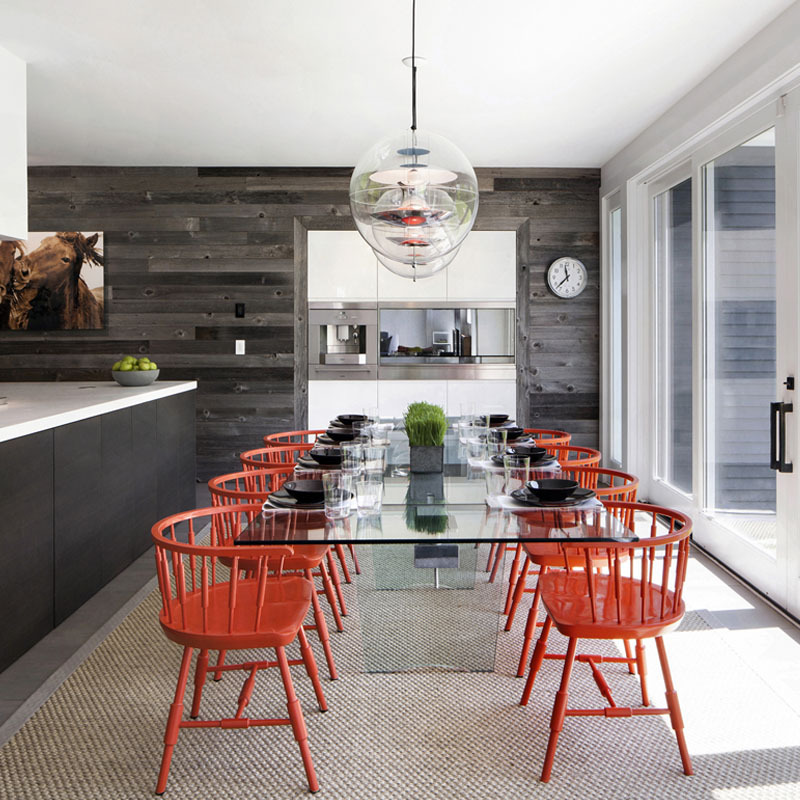 When thinking sculptural shapes, there’s an endless variety of routes you can go, from rounded chairs to circular pendant lights, to abstract art objects, the possibilities are endless. Browse any catalog or website featuring luxury modern living rooms of today and you’ll be quick to notice that they most often have little to no appliances – including tv’s. For starters even the most minimal of flatscreens are a waste of design real estate when they are off, and secondly, though they may be essential, there’s no denying that they’re an eyesore. 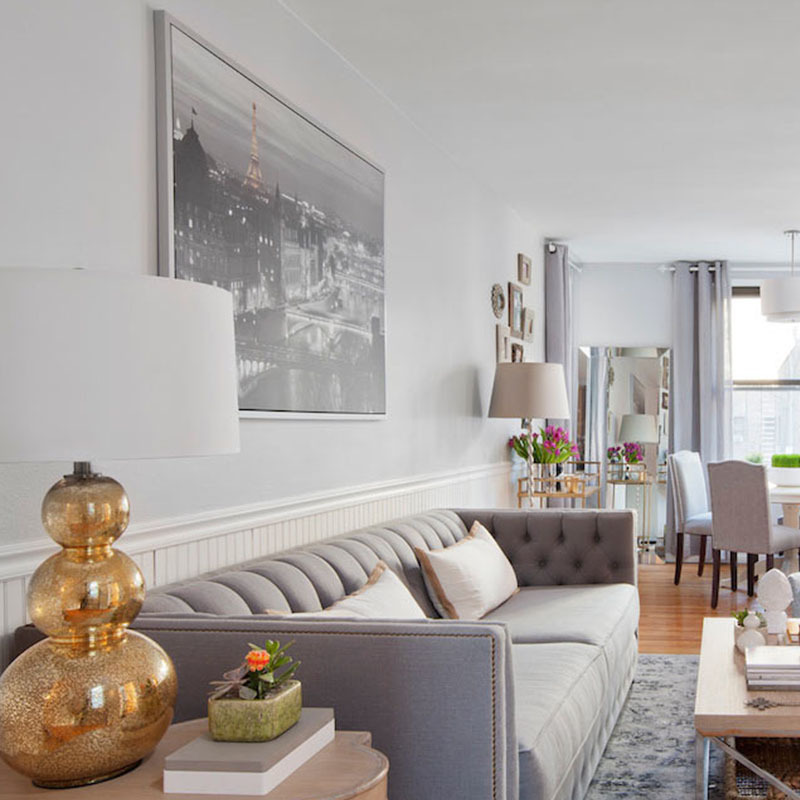 But if you don’t like the idea of removing your television set, try to camouflage it at the least as nothing lowers the feeling of sophistication in a living room than having a massive television set centrally featured. Do use clever ways to conceal your television from mirrored doors that can help to conceal it, to a sliding wall covering – however, if they’re out of your budget, you can visually minimize the presence of your television by coming up with an art arrangement or gallery wall around it. Although this will not make your tv to disappear entirely, it will allow it to somewhat seamlessly blend in with the artwork behind it and distract the eye. Aside from hiding your tv, make sure you also conceal those pesky wires and cables that could drastically make your living room seem sloppy. Hanging large-scale wall decor is one of the best living room design ideas to make your place look luxurious, especially when on a budget or facing challenges in adding conversation starting decorative extras. 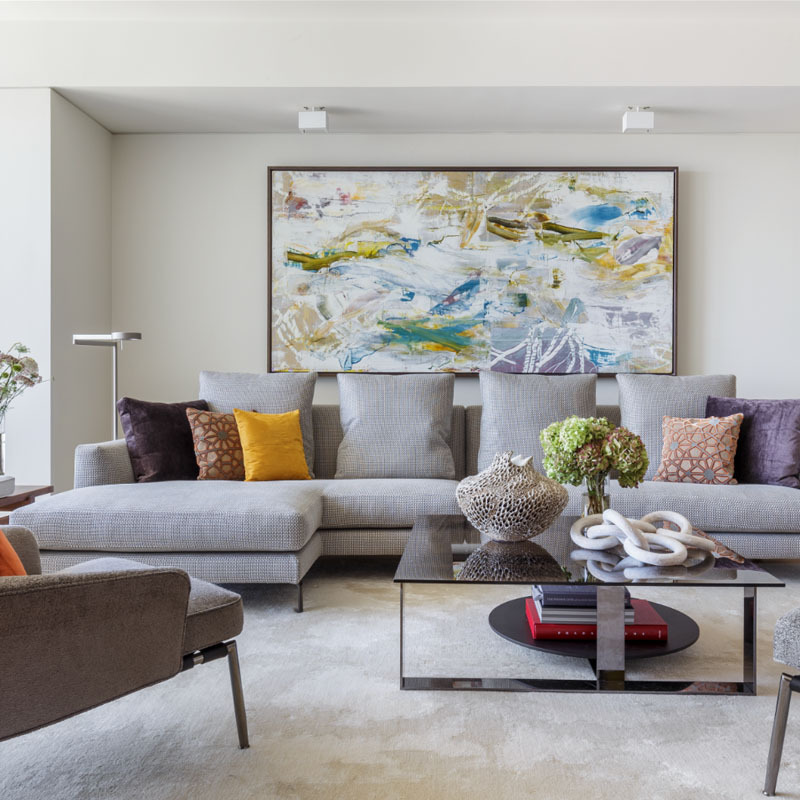 For this luxury living room interior design cue, the best approach is to create a focal point to lend your living room a wow factor by hanging an oversized piece of expressive and beautifully framed art. There are tons of oversize wall art pieces to be found to meet even the lowest of budgets that are certain to enhance any room and add a sense of easy sophistication. 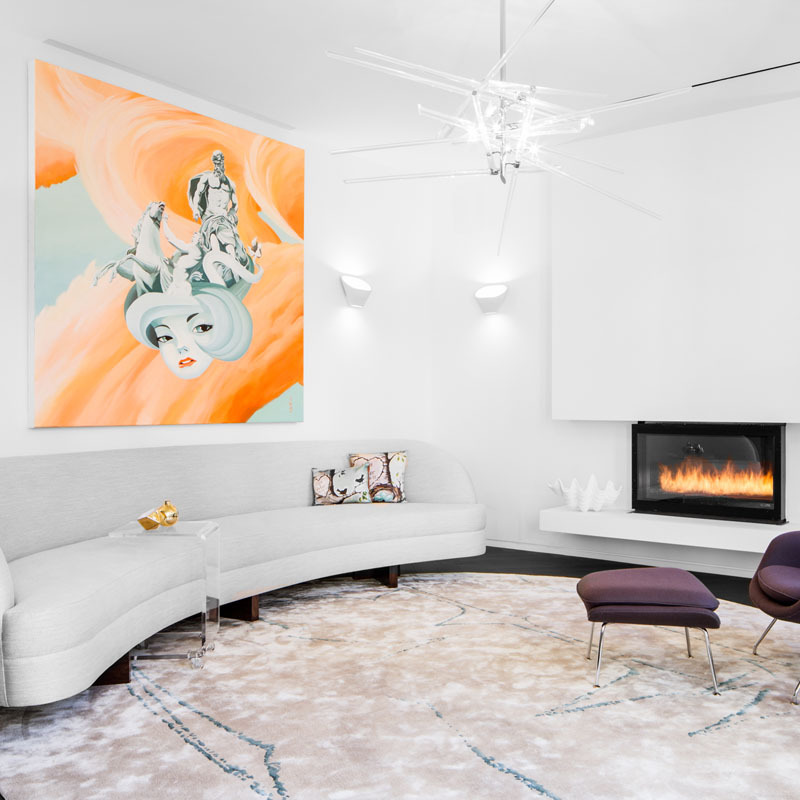 When looking for oversize wall art, our interior designers suggest looking for pieces that have a chic and high impact design, something that will make heads turn and start conversations. 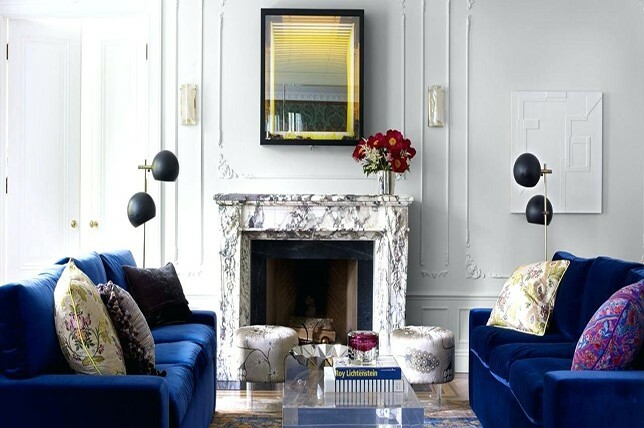 To save money on this luxury living rooms idea, keep an eye out on local bazaars, flea markets, and thrift stores. Look for large pieces of artwork that are being sold at very reasonable prices. If you are artistic enough, why not create your own one-of-a-kind oversize painting? 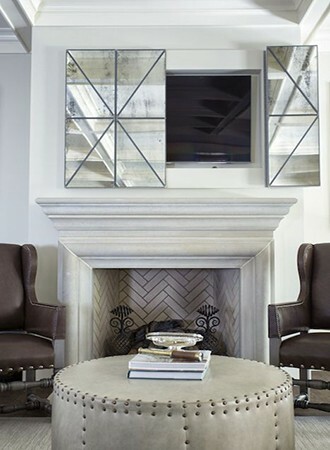 This is also a great way to inject your own personality into your living room interior design. 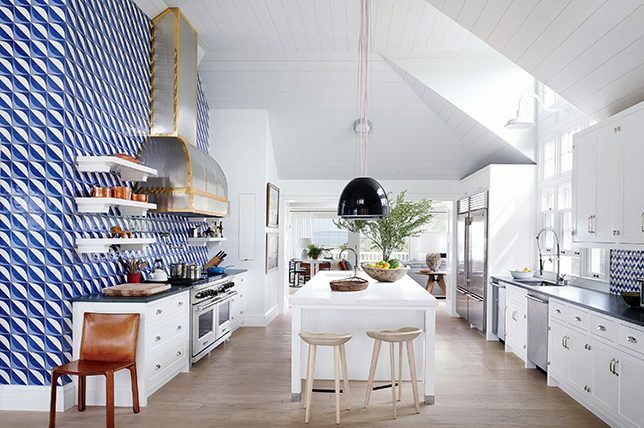 There’s fun to be found when playing with juxtapositions of texture, color, and shape in order to come up with the effect that you want for your space. When done well, mixing different materials and textures is one of the best living room design ideas to help make your space look elegant and sophisticated. Try to mix glass, wood, leather, and metals, along with a variety of textiles and other decorative items to achieve a dynamic and more inviting look for your living room space. 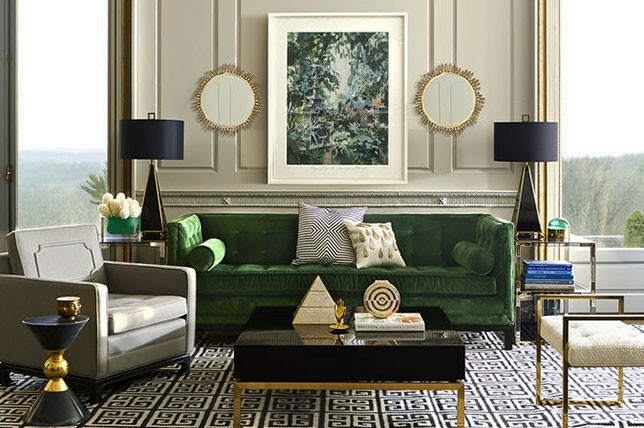 Although a layered and thoughtful mix of textures can make your home interiors look luxurious, do be careful when incorporating various dynamic elements in your living room interior design. Make sure you considerately select each piece and material with an edited eye and try to let each piece work together and complement each other’s color and design. 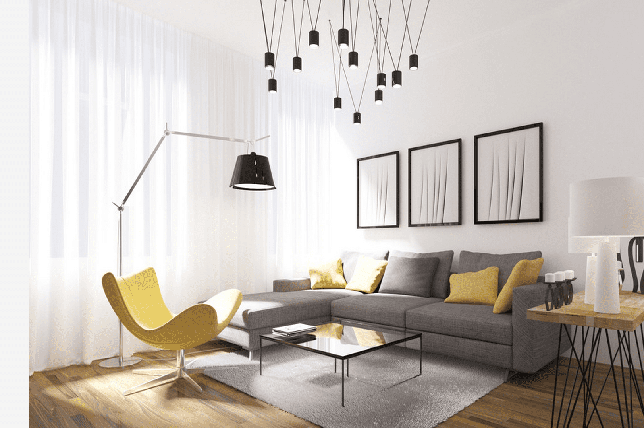 Otherwise, it might make your living room look chaotic, which totally defeats the purpose of creating a luxurious living room interior design. For instance, you can combine the softness of velvet upholstery with the grainy earthy texture of a wooden coffee table. By playing textures off of each other, you’ll work to create a feeling of depth in your interior design that evokes a brilliantly edited, varied mix. Nothing gives a room a sense of luxury than a gorgeous, rare antique. These finds often boast a patina that can’t be recreated by any modern furniture maker even at your favorite furniture store. And again, this is another element where you don’t really need to spend a fortune on this interior design idea. A simple, effective trick is to look for items at a thrift or discount store that looks like you might have picked it up from a vintage store in Paris. 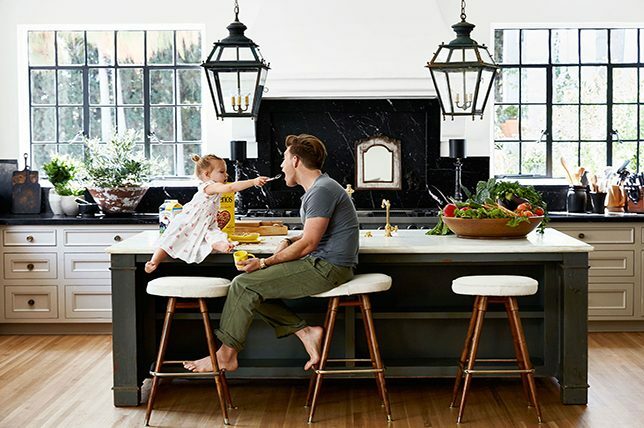 Large-scale living room accessories like oversized mirrors and bulky lamps are great, but some small accessories will also do the trick. If you’re patient enough, you should be able to find small antique boxes, vintage wall sconces, and antique picture frames at vintage haunts. According to our expert interior designers, anything that gives off vintage flair should do wonders. So keep an eye out for those flea markets as you might find something that you can incorporate in your luxury living room interior design. 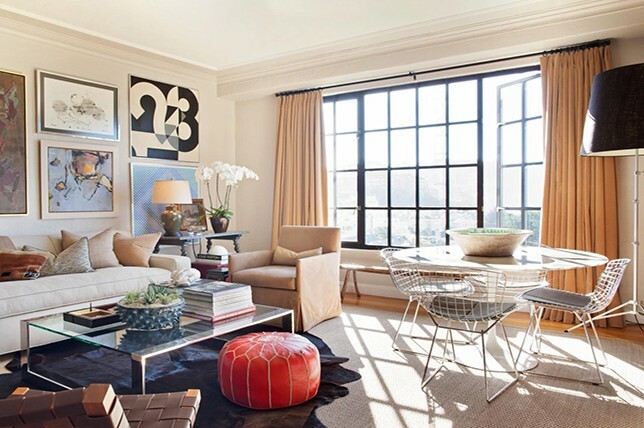 Remember that a cluttered and over-accessorized living room space is far from luxurious. When it comes to living room design ideas, the last thing you want is to come up with a room that looks messy and disorganized. Therefore, try to simplify everything when decorating your space. Tone down your décor and remove the unnecessary items while keeping a tight edit. Do retain those pieces that have sentimental value or those that evoke special memories. And keep in mind that a well-organized and simplified living room space is what defines a luxurious living room interior design. 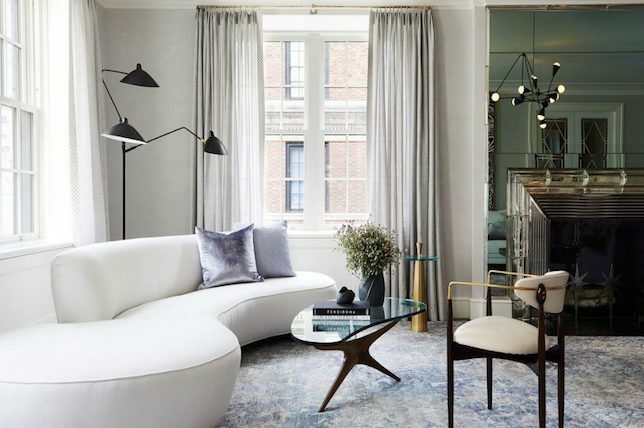 Add a sense of easy drama with a variety of lighting fixtures and candles that lend a room varying tones of light for the ultimate in luxurious living room design ideas.